Arthur A. Levine Books, 9780545385183, 336pp. 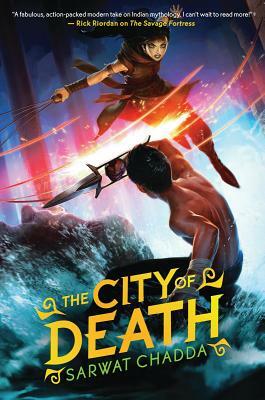 Perfect for fans of Roshani Chokshi and Rick Riordan! Just when Ash has settled back into his everyday London life, his friend Parvati arrives with a mission: The evil Lord Savage is plotting to steal the Koh-I-Noor diamond. Ash and Parvati manage to intercept it, but at a terrible price-Gemma's death. Outcast and heartbroken, Ash returns with Parvati to India, where he meets up with old friends and develops new powers. But he's haunted by Gemma and thoughts of revenge. As he hunts Savage all the way to a long-hidden kingdom, Ash must face the prospect that he may no longer be entirely human . . . and his warrior side may lie beyond his control. Sarwat Chadda is the author of the YA novels DEVIL'S KISS and DARK GODDESS. A former engineer, he is very glad to now be constructing stories and not ductwork systems. He lives in London, England, with his family. Visit him on the web at www.sarwatchadda.com and @sarwatchadda.